Buying a new home is always a fun adventure to get into. But imagine getting the chance of finding the perfect home where you can live like a real king. That’s what luxury condominiums are all about. Forget about the stressing process of finding a fine location, real security, enough comfort or a perfect finishing, they already have all that, along with a great arrange of resort like amenities and on-point features and fixtures you’ll die about. Take a look at these astonishing properties and get ready to be amazed. This condominium located on a massive 450 of oceanfront is the ultimate of luxury living offered by the charming city of Fort Lauderdale. Being developed by Related, Fortune, Auberge Resorts, Carlos Mattos and the Fairwinds Group the building offers nothing but exclusivity. The highest level services will be available for you every day and you will enjoy amenities such as a world class full service spa, and a state-of-the-art fitness center overlooking the pool deck and Atlantic Ocean. Boasting expansive floor plans, 147 deluxe residences and overwhelming bay and city views, Bristol tower is one of Brickell’s residential gems. The building is absolutely flooded with natural light and its units feature distinctive details including a wood custom bar with Wine Cooler and all marble floors. The tower is set on Brickell Avenue overlooking Biscayne Bay and it offers amenities like a beautiful swimming pool, a gym, and a tennis court, among others. 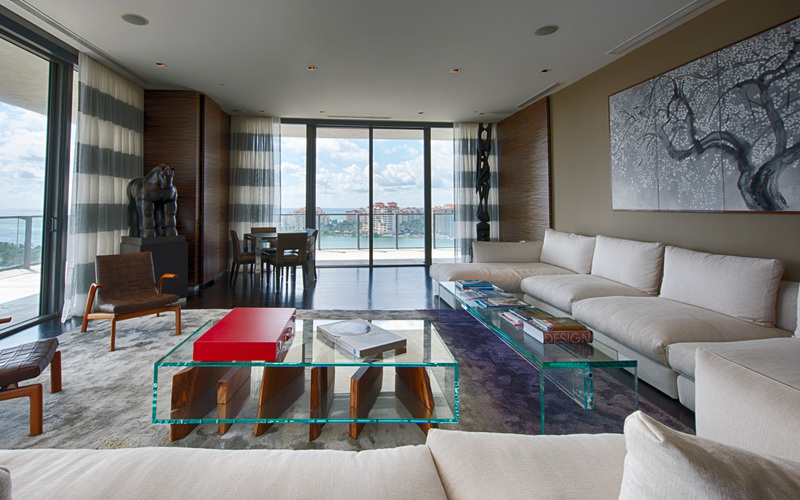 With ocean, bay, city views, Murano at Portofino is the epitome of comfort and luxury. 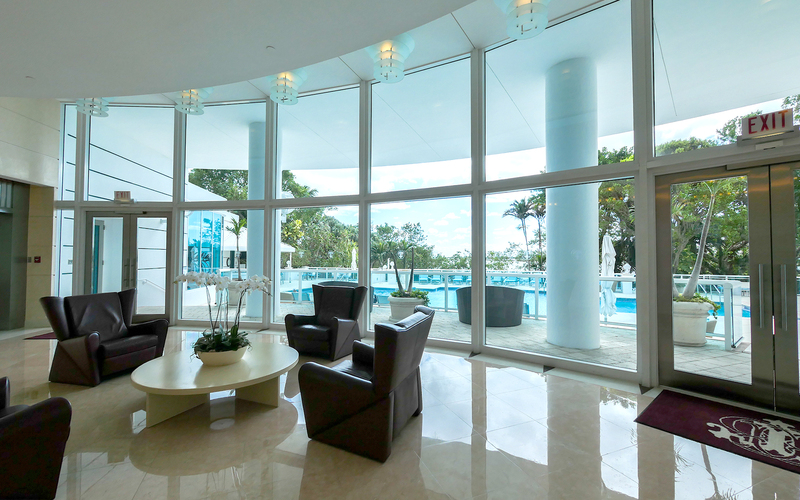 The property is set on over 12 acres of manicured grounds and it is one of the most stylish bayfront towers in the South Beach area of Miami Beach. Many of the rooms offer direct private elevator entry to ensure your privacy and personal space and you can enjoy two heated lagoon pools, a luxury spa and impressive sporting club. This is a residential masterpiece brought to life by the hands of By the hand of award-winning architectural firm Sieger Suarez and The Related Group. 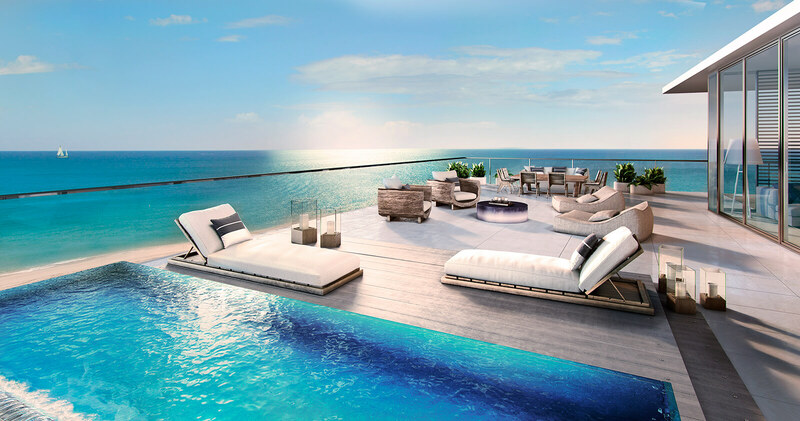 The building offers 67 exclusive residences set right on the waterfront in the elite area of South Beach. Apogee pampers it residents with only four residences per floor, each with flow-through design plus water and city views, a state-of the art spa to take a break from your daily routine, and an infinity-edge pool overlooking the water. 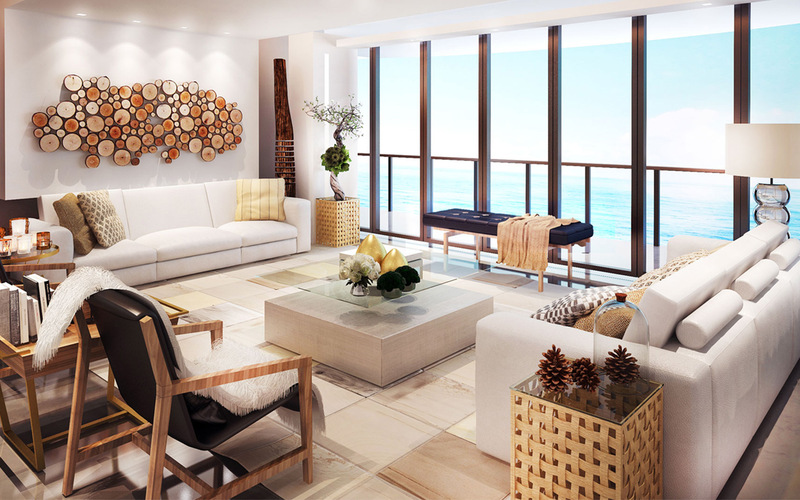 Located in the in the vibrant South Beach, right on the waterfront, South Pointe is one of the first luxury condos in the area. This imposing tower boasts breathtaking views of the water and a recent multimillion-dollar renovation that includes a new lobby, luxurious residence hallways and the additions of a media room and business center. You can also enjoy a swimming pool and spa, a gym and tennis courts, among others.